Your injuries from a bus accident might have been so severe that you are not able to work. As a result, you are unable to pay your bills on time or at all. And the bills never stop coming. Medical care is expensive and you have questions that you need answered. An experienced bus accident lawyer can help answer your questions and help you through the process of filing a bus accident lawsuit. CALL 312-372-7250 OR MESSAGE US HERE – THERE’S NEVER A CHARGE UNTIL WE WIN! Will I ever be able to return to work after sustaining the injuries that I have? 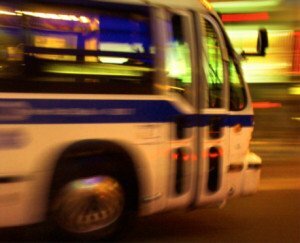 Can I file a bus accident lawsuit? Against who? For how much? Who was responsible for what happened to me? How am I supposed to take care of myself with no income? How am I supposed to pay for my constant medical attention? If you are asking yourself any of these questions on a regular basis, you contact a bus accident lawyer from Kurasch & Klein. At Kurasch & Klein, we respect the needs and wishes of our clients and will only act in your best interests. We are your local team of Chicago accident lawyers who are here to help you fight for justice after your bussing accident. This fight will not take away your mental or physical damage, but it can help fit some of the broken pieces back together. Contact us so we can help you fight today.